He is a natural right-back and that is the position I wish him to play. This is another good signing for the club. He's at the right age to develop, with his best years ahead of him and I'm sure that SPL football will allow him to keep on improving. 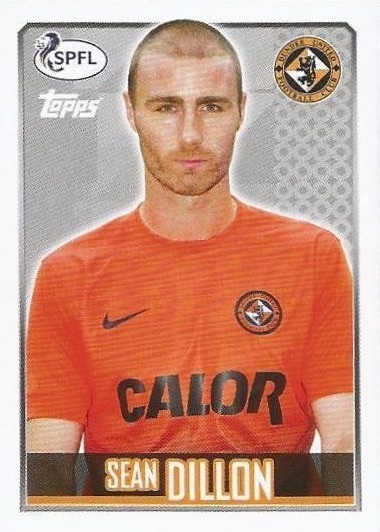 As a right-back, Seán became a regular in the starting line up and collected a Scottish League Cup runners-up medal as an unused substitute against Rangers in March 2008. That same season, Seán represented his country as a 'B' internationalist in a game against Scotland. 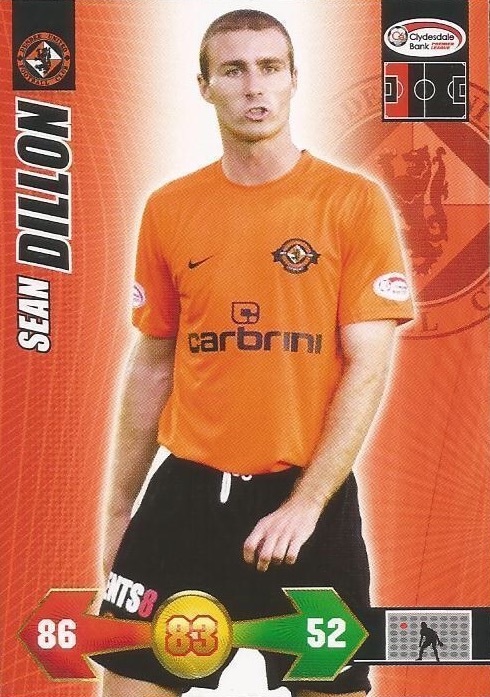 He retained his place in the side over the next three seasons and in May 2010 he won a Scottish Cup winners' medal against Ross County. Latterly, he moved to the left of defence and eventually into a centre half role, forming pairings with Garry Kenneth and later Gavin Gunning under manager Peter Houston. 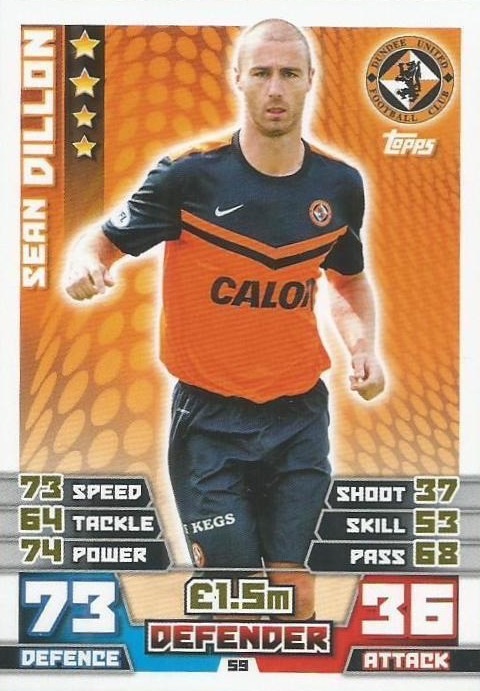 On October 24, 2012, Seán signed a contract extension that would keep him at the club until May 2015. By early 2013, Seán had become the most featured non-Scot in the Club's history - an appearance tally he continued to add to thereafter. 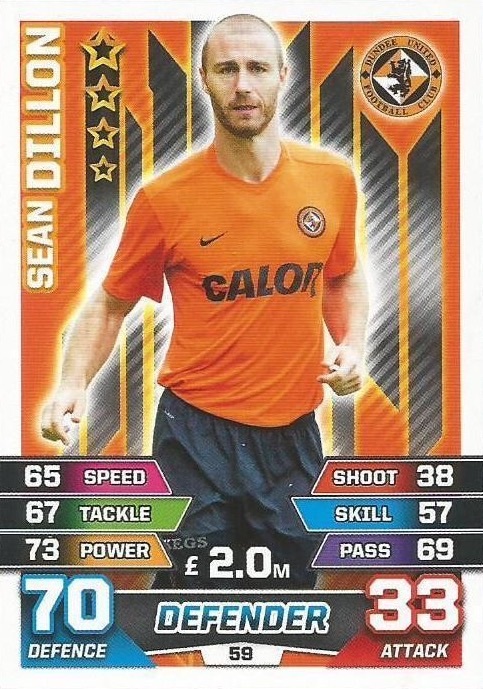 Following the departure of his fellow countryman Jon Daly, he was named as the new Club Captain for the 2013-14 season under manager Jackie McNamara, however, with more competition for the centre half position, he moved in and out of the first team during the first half of the new campaign. By March 2014, he had re-affirmed his position in the team and in May, he collected a Scottish Cup runners-up medal against St Johnstone. A League Cup runners-up medal followed during the 2014-15 season when United lost out to Celtic, and on May 19, 2015, Seán signed a further contract extension that would keep him at the Club until May 2017 - making him the Club's longest serving player since David Bowman. 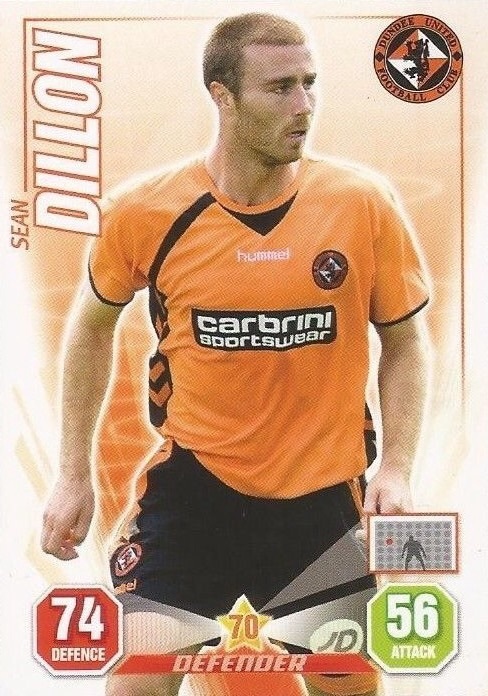 On February 5th, 2016, entering his testimonial year, Seán became the first current player to be inducted in to the Dundee United Hall of Fame. His testimonial season ended in disaster though, as United finished bottom of the table and dropped to the SPFL Championship. Relegated, Seán was one of the few players kept on by new manager Ray McKinnon for the battle ahead, however, despite winning the Challenge Cup, Seán and teammates couldn't manage to earn promotion, and in May 2017, he learned that his contract would not be renewed. Seán was born on this date in Dublin, Republic of Ireland. 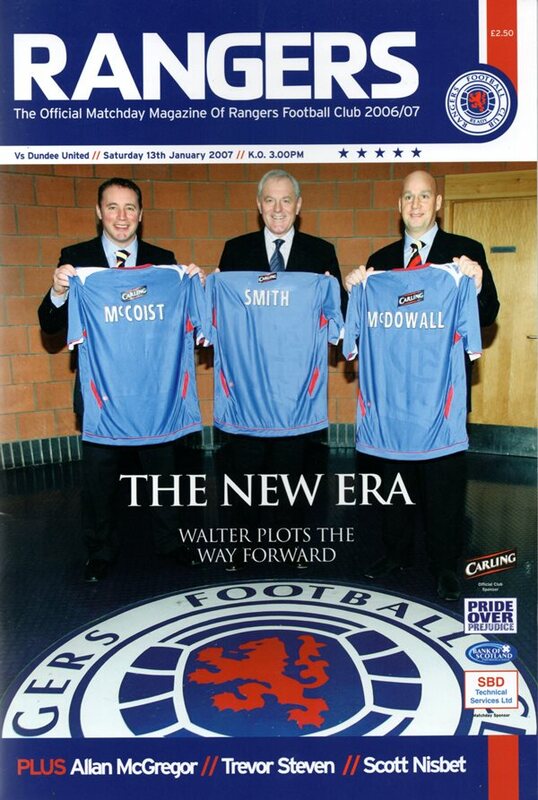 Rangers fans left this match wondering how Walter Smith had transformed the Ibrox side in only his first fixture in charge. In truth, United marked his homecoming by gifting him three points after dominating much of the first half. Dundee United traveled to the Caledonian Stadium to face Inverness CT after an indifferent start to the league season. The Highland side were still looking for their first points of the season and were now without a manager following the resignation of Charlie Christie. Craig Levein had a number of injuries in his squad which hampered his team selection. The United manager made two changes from the side which had drawn 0-0 with Hibernian at Tannadice the previous weekend. Willo Flood and Craig Conway had both suffered injuries with the former dropping to the bench and the latter missing out altogether. Garry Kenneth and Prince Buaben took their places in the starting 11. Craig Levein made the surprise decision to plump for Lee Wilkie as a lone centre forward, supported by Noel Hunt and Barry Robson from the flanks. Donald Park took charge of Inverness for what is likely to be the first and last time, and he made just one enforced change to the team that narrowly went down 2-1 to St Mirren in their last match. Canadian internationalist Richard Hastings was ruled out with a muscle strain, after the left-back missed his country’s 1-1 midweek friendly with Iceland, with Roy McBain stepping in. 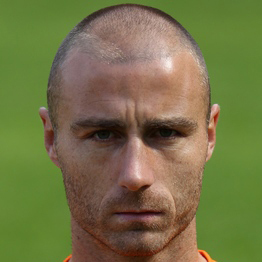 Ray McKinnon made just one change to his starting line-up from the side which had drawn 0-0 with Accies in the first leg of the Premiership Play-off Final with Charlie Telfer replacing Wato Kuate who had effectively been released from his contract following his on-field antics in the Tannadice game. United were relieved to have the services of Simon Murray despite his dismissal on Thursday night with the club appealing his second yellow card for simulation. Martin Canning was forced into making two changes to his side with Grant Gillespie coming in for the injured Massimo Donati and Greg Docherty starting in place of the suspended Darian MacKinnon.